William the Lion, King of Scotland, was a close friend of Thomas Becket, Archbishop of Canterbury. 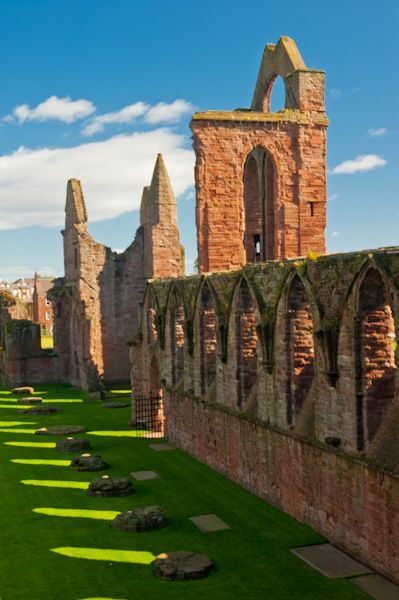 When William decided to establish a Tironensian abbey at Arbroath in 1178, he dedicated the abbey to Becket. In so doing, he was thumbing his nose at Henry II of England, at whose instigation Becket was killed in 1170. 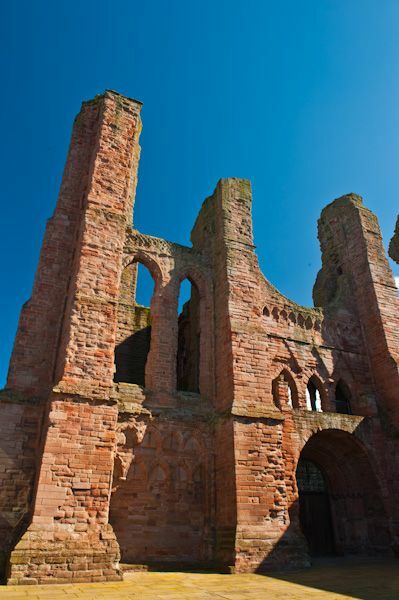 A new abbey at Arbroath, on the Angus coast, also served to strengthen the king's influence in the north of his fractious kingdom. 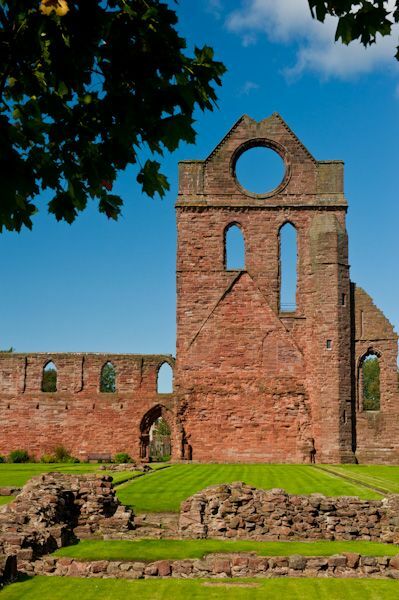 Though construction on Arbroath Abbey began almost immediately, it was not until 1200 that the great church was begun. Enough of the church was complete by William's death in 1214 that the king was buried before the high altar. A modern grave slab now marks the site of William's grave. The church was complete and consecrated for worship in 1233. 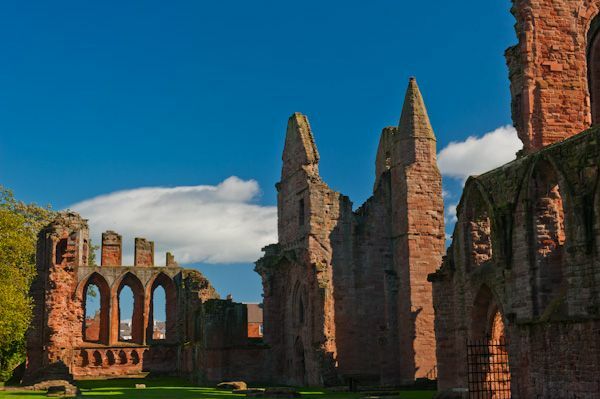 Arbroath Abbey occupies a special place in Scottish history for its role in establishing Scottish independence from England. The roots of that link go back to 1305, when the Pope recognised Edward I's claim to the Scottish throne. 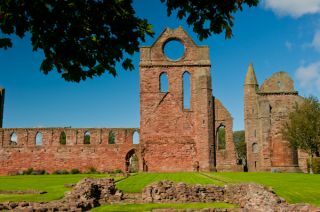 Then in 1306 Robert the Bruce made his bid for the throne by murdering his main rival, John Comyn, in a church in Dumfries. The Pope excommunicated Bruce for his actions. But by 1320 Pope John XXII hoped to interest Bruce and Edward II of England in a new Crusade. When he sent letters to Bruce, he did not address him as king, probably because he did not want to alienate Edward, who still claimed the Scottish throne. Bruce refused to read the Pope's letters, and instead instigated the drafting of an extraordinary document asserting Scottish right to rule itself, free of English influence. 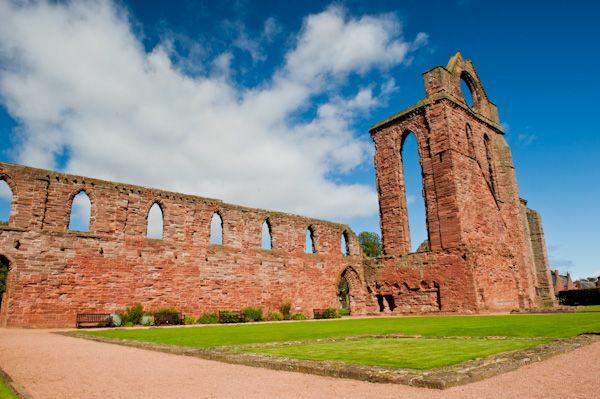 This document, a declaration of Scottish independence, was written at Arbroath Abbey, under Abbot Bernard, who also served as Bruce's chancellor. Abbot Bernard did not write the Declaration himself; that task probably fell to Alexander Kinninmund, a member of the embassy that travelled to Rome to present the Declaration to the Pope, or perhaps to Walter Twynholm, who later served as King Robert's chancellor. Well, not instantly. The interdict was not lifted, but a few weeks before Robert I died in 1329 the Pope did finally agree to recognise Scotland's right to rule itself. 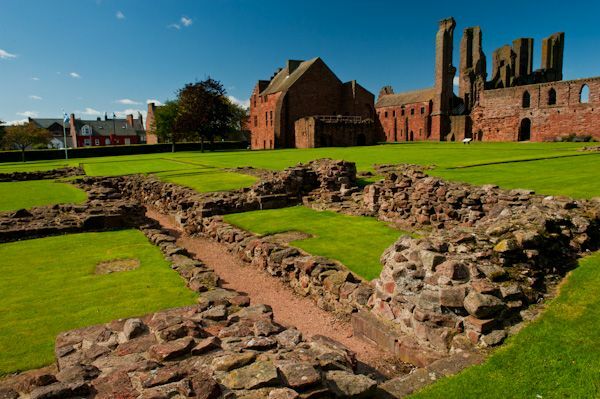 The importance of the Declaration of Arbroath continues to resonate today as one of the most important events in Scottish history. Even the road signs leading into the county of Angus proclaim it as 'Scotland's Birthplace', a reference to the role played by the Declaration in putting the case for an independent Scotland. 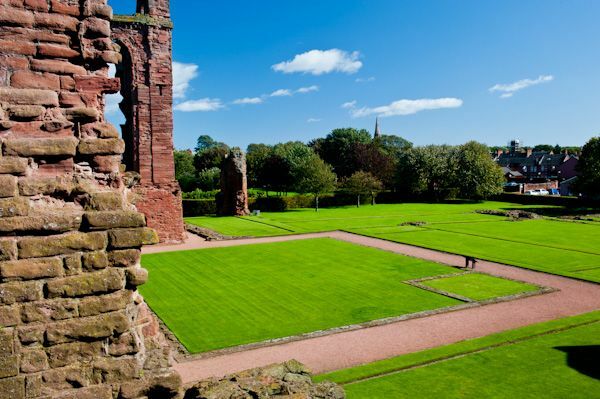 Life at Arbroath Abbey continued long after the Declaration of Arbroath, of course. The abbey became so rich and influential that nobles squabbled over appointments to the post of bailie. 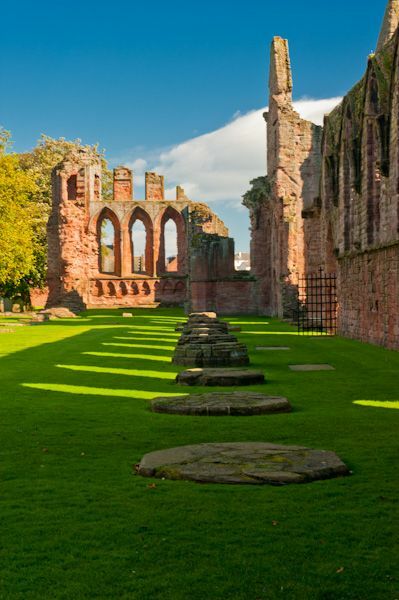 In 1474 Bishop Patrick Graham of St Andrews tried to squeeze funds from the abbey. When Abbot Malcolm Brydy opposed him the Bishop had the abbot thrown into prison. 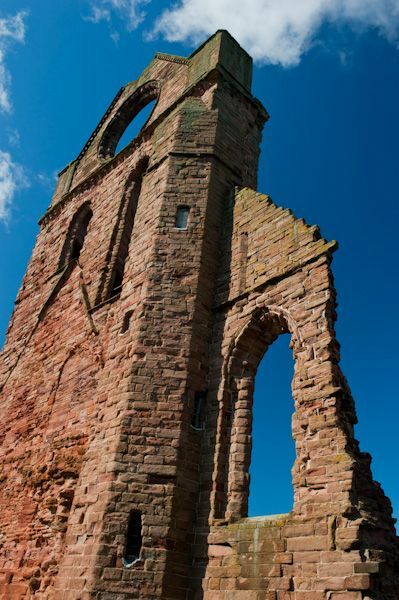 The abbey remained an important and wealthy landowner until the Reformation of 1560 put an end to monastic influence. The monastic buildings were plundered for building stone, and 18th century visitors complained that the ruins were in a deplorable state. 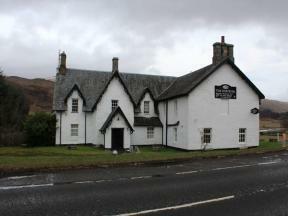 In the 19th century the first attempts were made to preserve the site. In 1815 restoration work uncovered the remains of a 14th century effigy that may have been crafted to commemorate William the Lion. This can be seen in the modern visitor centre at the abbey entrance. One of the best surviving parts of the abbey is the sacristy, with its finely vaulted ceiling still intact and a small holding cell for prisoners. Then there is the extraordinary Abbot's House. 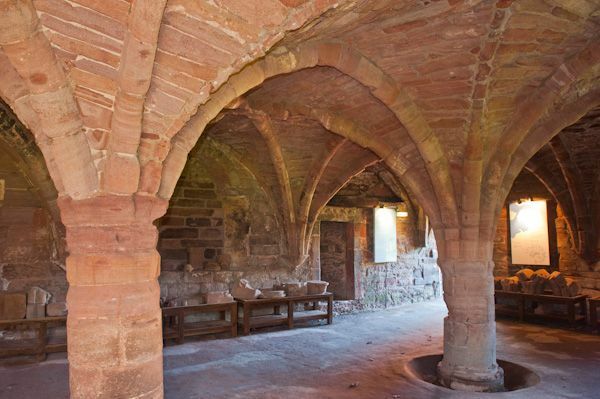 This is one of the best surviving monastic buildings in Britain, with a vaulted undercroft, hall, and gallery. 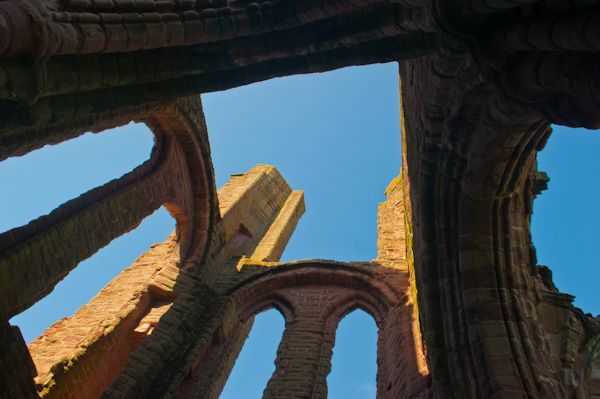 Visiting Arbroath Abbey is an awe-inspiring experience. The abbey buildings are extremely extensive and details of the architecture are very well preserved in places. 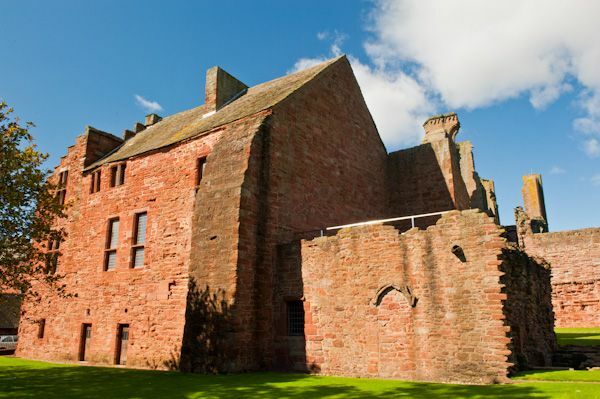 More than that, the role that the abbey played in Scottish history really comes alive.